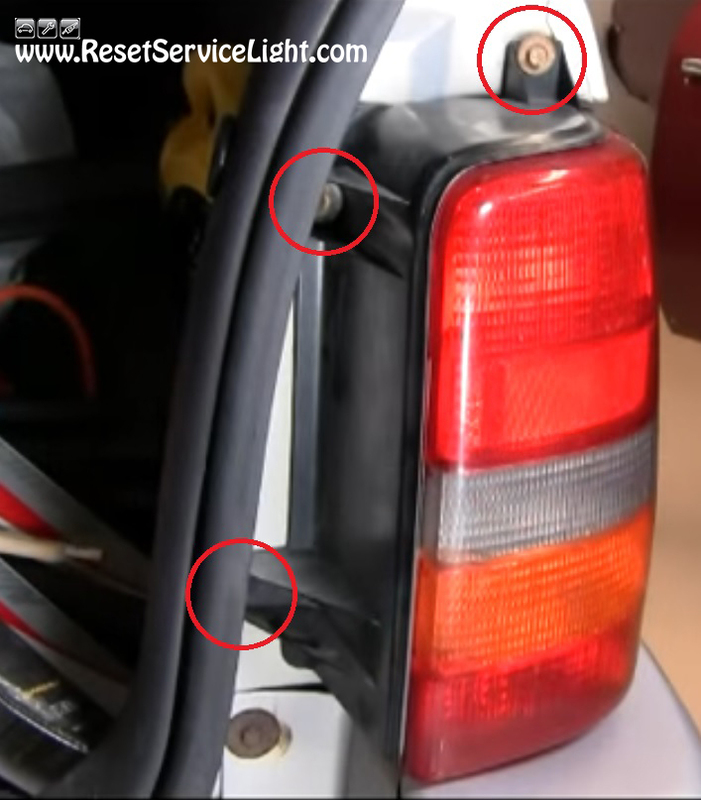 DIY, change the tail light assembly on your Jeep Grand Cherokee, the model made between the years 1993 and 1998. For this particular repair you will require a 10 mm socket wrench with an extension. The whole repair process is very simple and it will take you about 15 minutes. 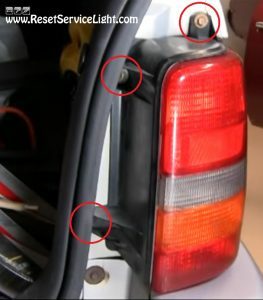 In the beginning, open the back door of your car and try to locate near the tail light you wish to replace, the three bolts marked with red circles in the next image. They actually hold the tail light assembly attached to the car’s body. You can remove them very easily using the 10 mm socket wrench and an extension. You can now remove the entire assembly. Be careful though, it has a metal pin behind, that can cause you problems. 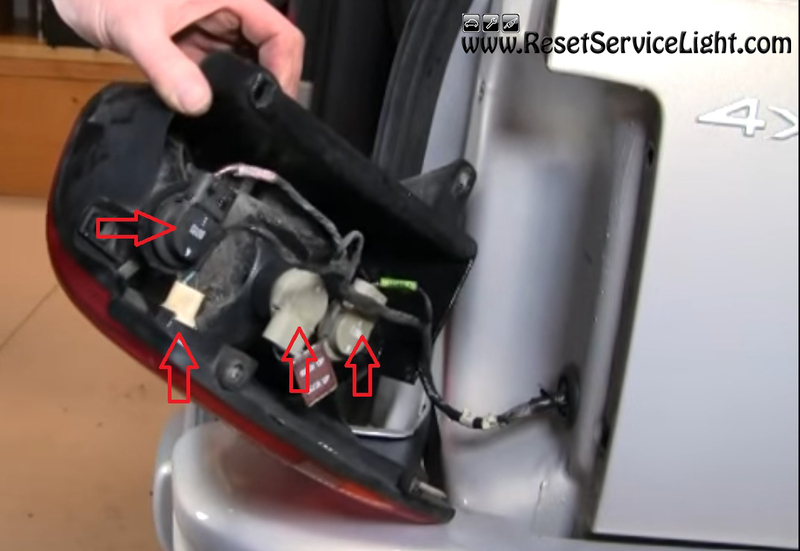 After you pull the tail light out, you will come across four electrical connectors (as you can see below). You will have to disconnect them one by one. At this point you can easily service the light bulbs, if you need to. You just have to turn the sockets counterclockwise and then remove and replace the old bulbs. After you finish all the repairs, reconnect all the harnesses and install the new tail light assembly. Do not forget about that metal pin. Align it first and then secure the whole assembly with the three bolts. This is all you have to do, if you wish to change the tail light assembly on your Jeep Grand Cherokee, produced between the years 1993 and 1998.